Lightning Ridge - Solid Black Opal. 6 x 5.2 x 3. 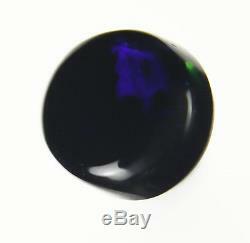 Absolutely gorgeous flashy play of royal blue, red, green across the face of the opal. We sell 100% authentic genuine Australian Opals and do not sell any heat or lab treated opals. 3- Difference between solid, doublet and triplet opals: Solid opal. Solid opal that has not been backed capped or treated by man. Not a lab created gem. Solid opal is 100% natural stone with opaque, transparent or translucent body clarity. An opal made of two components parts. 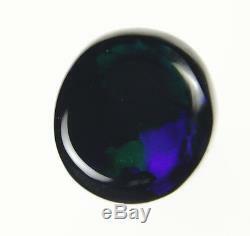 Thin slice of precious crystal or jelly opal glued or cemented to black backing. An opal made of three components parts. 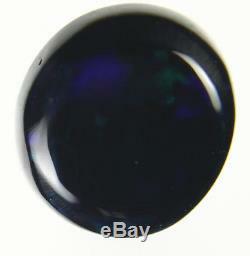 Thin slice of precious crystal or jelly opal glued or cemented between crystal cap on top and black backing. 4- Images and Screen Resolution. We take great care while taking opal photos to display best natural colour play. Most of opal buyers are aware of the fact that one opal image could look different on two different types of monitors or two different screen resolution settings. We recommended 1920 by 1080 pixels screen resolution to view our opals images. Some deliveries may take longer depending on your country's postal service. We take great care that each item is correctly described, authentic, not damaged, or misrepresented in anyway. Item(s) need to be in their original condition. 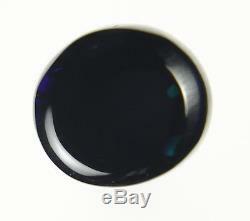 The item "0.8ct BLUE GREEN RED FLASHY GENUINE LIGHTNING RIDGE SOLID BLACK OPAL GEM a213" is in sale since Monday, November 9, 2015. This item is in the category "Jewellery & Watches\Loose Diamonds & Gemstones\Loose Gemstones\Opal\Black Opals". The seller is "australian-opal-board" and is located in Campsie, NSW. This item can be shipped worldwide.